Towne Pointe Manalapan townhouses for sale. Town Pointe Manalapan is condo / townhouse community. In 1990, 120 homes were built in Town Pointe. Each of the homes has either two or three bedrooms. The two bedroom homes are either upper or lower level units, while the three bedroom homes are two story townhouses. Sorry, but there are no garages in this community. Located off of Tenant Road. in Manalapan, shopping and dining are nearby. Further, the Jersey Shore is a short drive away. There is a monthly fee from the homeowners association, also pets are allowed. Lawn maintenance, snow removal and common area maintenance are handled by the association, in addition to exterior maintenance of the buildings. In fact, this community has a swimming pool for residents. Because FHA financing is not approved in Towne Point, purchasing a home with an FHA loan is not possible. Other financing, however, is available to qualified borrowers that do offer low down payment terms. Please call 732-598-7700 to discuss. Commuters will love living in Towne Point Manalapan because of the location. It is within walking distance to bus service to New York. Students from Towne Pointe Manalapan in grades kindergarten through eighth will attend schools in the Manalapan Englishtown Regional School District. Students from Englishtown also attend these schools. 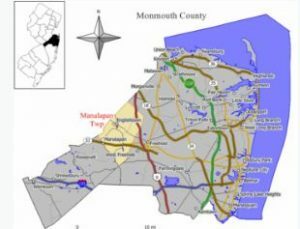 High school aged students will go to Manalapan High School, which is one of the six high schools in the Freehold Regional High School District. And each of these schools offer different specialized courses. Motivated and talented students may apply to attend any of these school through a competitive application process. Students entering high school also have the option of applying to one of the five high schools in the Monmouth County Vocational School District. In addition, there are also private schools in the area.